I am not making this post to start a racial war or to drive traffic to my blog. I am making this post to challenge ourselves to think and come up with creative solutions to our collective problems, as a people or as a race! I posted a piece on my Facebook wall about two emails I sent to two Research Institutes, one in Abuja (Nigeria) and the other in New York (USA). Despite the fact that Lagos (where I live) to Abuja is just about 300 km by road, I haven’t got a response, let alone have any assurance that my mail is being attended to. But, I have since gotten a response to my mail from the Institute in New York even though it is about 8000 km from where I stay! Another interesting thing about the incident that still amazes me is the fact that people I told still see it as a “normal thing” in this jet age for a full Institute not to be Information Technology (IT) compliant. I concluded in the post that there has to be something wrong about being black. Some people found that offensive, but the truth, as they say, is bitter. 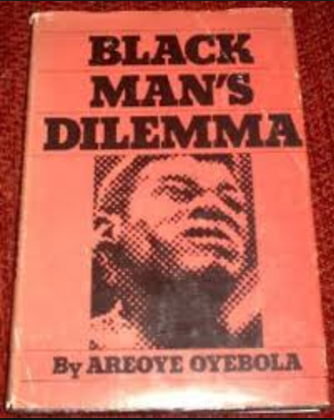 I read a controversial book, The Black Man’s Dilemma (1976), written by Areoye Oyebola where he revealed the fact that there was and still not special about being black or an African. Had the book been written by a white man, most would have considered it a racial insult. In parenthesis, Areoye is a Nigeria journalist and politician. That it was written the same period Walter Rodney was “revealing” How Europe Underdeveloped Africa (1972) added to the paradox. What’s wrong with us really? I recently found out that the Herdsmen, as we know them in West Africa today, have existed for over 400 years. This meant they existed at the same period with the Vikings and the Buccaneers in Europe and the Caribbean. Like the Herdsmen of today, the Vikings, especially, traded in cattle. Like the herdsmen, the caused the European governments much headache. Today, what remains of a once viable culture is only found in the Scandinavian countries (modern day Denmark, Norway, Sweden, Finland, and Iceland). But the Herdsmen are still fully with us today, doing what the Vikings did over 400 years ago! My best guess is that technological advancements brought about by the Industrial Revolution eroded the Vikings culture, but none in Africa to wipe out the Herdsmen, just yet in Africa. I’m beginning to drop most of my “black pride” arguments advanced by Rodney for more “reality check” arguments of Oyebola. The first step is to honestly admit the reality of the black man’s dilemma!